But we did write The Darkdeep together, without a single homicide, and—here’s the real trick—we managed to become even better friends as a result. Is it a miracle? Are we magic people? NO WE ARE NOT. But we learned a few very important things along the way. Should we share those tips? Or should we write a craft book about them? Do people understand that we wrote this entire story in third person, meaning we had to have a smooth narrator voice throughout, which meant we had to combine our writing voices on every sentence in the book? Actually, now I’m worried. We are still friends, aren’t we? Condie: We are absolutely still friends, and now we are also the kind of friends who have fought over commas, which is a truly special bond. Honestly, writing this story together was so much fun 90% of the time. The other 10% were conflicts we had because we both cared about the characters, the story, and getting it right for our readers, so on some level it was also nice to know that I wasn’t working with someone who would ever phone it in. This wasn’t surprising—I mean, we knew each other pretty well when we began the project—but it was cool to see how invested we both were in literally every sentence. So. Third Solution. It’s the best. And yes, we are available for all of your life coaching needs. Reichs: Third Solution would’ve made a FIYA alternative band name in the mid-90s. I think our smartest don’t-kill-each-other innovation was to discuss any major sticking points over the phone, like we would’ve done when listening to our Third Solution CDs back in high school. Texts and emails can project a layer of snark and/or annoyance that actually isn’t there. (Or is there, but just talking to a friend who makes you laugh is enough to make the irritation disappear.) Since I’m a creature of the right now, I rarely if ever have actual phone conversations anymore. Before this project I had something like 4000 roll-over minutes due to my complete lack of cell usage. Reader, I have used them all. NO RAGRETS. On a more practical note, I think outlining the story beforehand is crucial if you’re trying to blend together a narrative that isn’t two completely separate voices and story sandboxes, as many YA collaborations are. For The Darkdeep, we travelled to New York and locked ourselves in a conference room with our editor—the great Cindy Loh!—for four entire days, so that we could hammer out a basic plan of attack. Now, that plan evolved every single time either of us opened the file, but having an agreed-upon roadmap at the start saved sooooooooo much time down the road. It’s much easier to be creative when working off something you’ve already spent a lot of time on. At least I think so, but I’m a notorious outliner. You know. You’ve seen my giant whiteboard. I even insisted that Bloomsbury buy one for their office just so we could outline our book on it. I = monster. Condie: I don’t outline when I write my own books (which I know makes you cringe), so this part of the process was extremely interesting to me. It was so cool to see you take some whiteboard markers and just go to town outlining and brainstorming. I agree that this was completely critical for our process. And, as someone who doesn’t outline, it was sheer heaven to sit down each day at my desk and have at least some idea of what I was supposed to be doing during my writing time. That’s one of the best parts about this whole thing. You learn from each other. I can point to five or six concrete things that you’ve taught me about writing, and that make me think differently about the craft. There were so many moments when you wrote something that made me laugh out loud or that took the story in a direction I loved. At the end of the day, we are two writers who are friends who got to write a book about friends, and we had a great time and learned a lot—and may have unintentionally formed an 90s cover band. What could be luckier/better than that? Reichs: Nothing/Nothing. This was the best. Bye now! #TheDarkdeep, out. 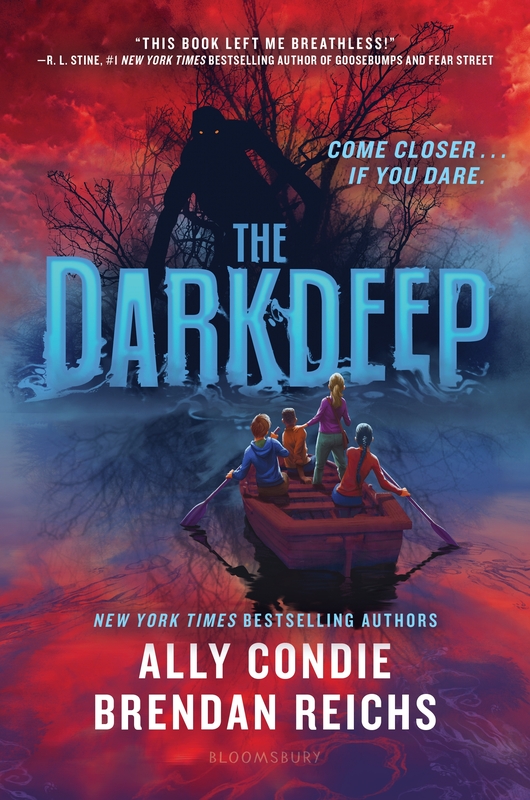 Ally Condie is the author of the #1 New York Times bestselling Matched Trilogy and of the middle-grade novel Summerlost, a 2016 Edgar Award Finalist for Best Juvenile Mystery. 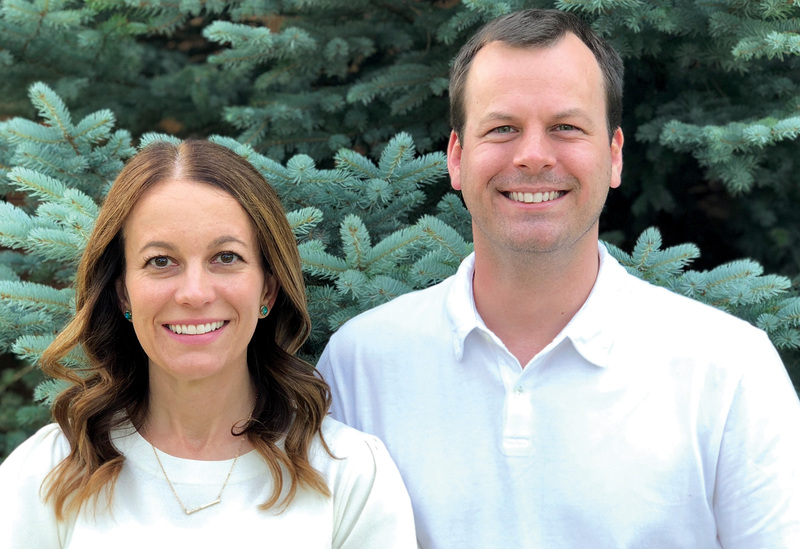 A former English teacher, she lives with her husband and four children outside of Salt Lake City, Utah, and is the founder of the non-profit WriteOut Foundation. Visit her online at www.allycondie.com and on Twitter and Instagram at @AllyCondie. Brendan Reichs is the author of the instant New York Times bestseller Nemesis and its sequel Genesis, and co-author of the six-volume Virals series. Brendan is also a member of the Executive Board for both YALLFEST and YALLWEST literary festivals and has received a MFA in Creative Writing from the Vermont College of Fine Arts. He lives in Charlotte, North Carolina, with his wife, son, daughter, and a herd of animals that tear up everything. Visit him online at www.brendanreichs.com and on Twitter and Instagram at @BrendanReichs. The Darkdeep is their first co-authored novel.